Did you know that more than 74 trillion emails are sent on an yearly basis? Looking at the magnitude of communication, email marketing is still seen as a significant channel for building brand awareness and converting prospects into customers. It is eco-friendly, fairly inexpensive, simple, direct and most importantly, measurable. Moreover, it is three times more powerful for driving conversions than any social media platform. This versatile marketing channel has, from time to time, proved its effectiveness with an impressive Return on Investment (ROI) of 3800%! The year 2011 saw the growth in popularity of social platforms such as Facebook and Twitter. Marketers started adding links of their social media pages in their email solutions to target potential subscribers and subsequently drive conversions on social. This step also encouraged direct engagement between the company and its customers. A 2011 report by Litmus stated that mobile devices accounted for 8% of email opens. This figure urged companies to keep in mind “this particular experience” while optimizing email campaigns. It is from here that the mobile email design started becoming more responsive – smaller images, short and crisp texts, etc. – though on a minuscule level. The effects of the changes made in the email marketing strategy in 2011 trickled down in the next year. Thanks to integrated efforts, almost half of email recipients made at least one purchase based on promotional emails – and this was mainly to receive discounts. Around 72% of people were open to using mobile phones to read emails – giving marketers more confidence in creating mobile-friendly email campaigns. However, the only challenge that most marketers faced during this time was the usage of visuals. According to a survey conducted by Flagship Research – as published on BlueHornet, almost 75.4% of consumers felt that poorly designed emails affected the perception of their brand negatively. By this year, smartphones had taken over the mobile market. This meant a revolutionary improvement in graphics – something that was a challenge for marketers earlier. And so, single column layouts along with a visible Call-To-Action were introduced in emails. In terms of content, more emphasis was put on educating customers through thought-leadership and industry know-how, rather than just copy-pasting a direct sales pitch. In addition to this, marketers started sending targeted emails based on customer preferences – which amassed 29% higher unique open rates and 41% more unique click-through rates in 2013. A significant amount of emphasis was put on improving customer experience through email automation – an effective way to send messages at designated times. This allowed companies to spend more time to draft an email (on the basis of gender, location, age, etc.) with a consistent tone and message. The segmented email content made it possible to nurture and retain customers. According to a detailed study by DMA, emails triggered by behaviour were responsible for 30% of business revenue that year. In addition to this, email open rates touched 55% and click-through rates increased to 44%. 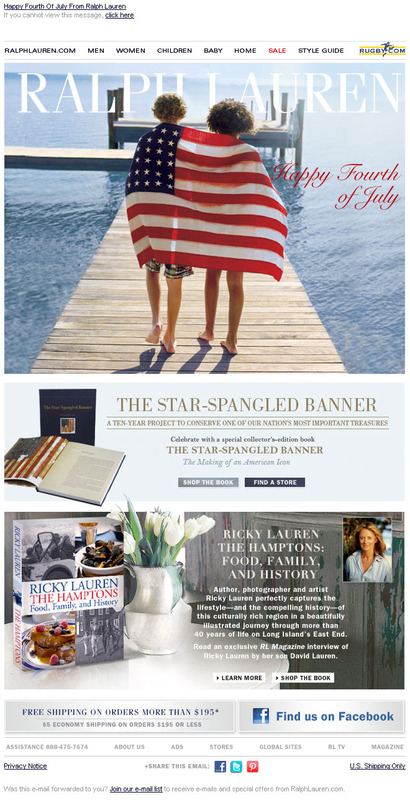 High-end clothing brand, Ralph Lauren, customized its promotional emailers by focusing on a classic style. It created its own unique voice by not only introducing various design attributes such as large, high-quality images and distinct colour schemes but also putting interactive written text. This is just one example in the large pool of brands that have “moulded” their email marketing solutions. 2015 witnessed a growth in personal emails – that were sent to the customers – carrying discount coupons, reminders for abandoned products in the cart and/or post-purchase thank-you notes. An article on ‘email is not dead‘ states that 61% of consumers like to receive weekly promotional emails in their inbox and 28% want the emails even more frequently! Hyper-personalization: Triggered emails sent in response to a more diverse range of behaviours is expected to gain prevalence. Companies like Wigzo will provide data mining and predictive analytics backed by machine learning to provide marketers with actionable personalized customer insights. Voice interface: This vision is too far fetched but by 2020 (hopefully), cars, wearables and other devices will read out emails to the customers. With small-scale AI technology already in place with Apple’s Siri, Microsoft’s Cortana and Amazon’s Alexa, this “prediction” does seem a possibility. What started as a medium to send mass emails has now converted into a more personalized form of communication for brands. And with each passing year, email marketing is becoming more interesting than ever! Do you think emails will remain a vital part of business marketing strategies for the next few years?